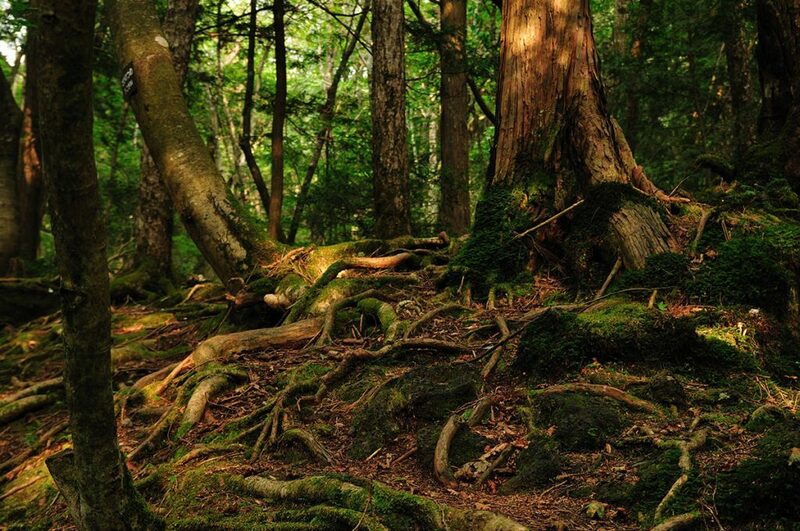 The Haunted Forest in Japan – Take a step into Aokigahara Forest and you will be in shadow. The shadow of Mount Fuji and the shadow of the sun. Called Jukai, or the sea of trees by locals, the forest creates the effect of being underwater. The dense canopy of leaves overhead completely blocks the sun, and you are left in shadow. It’s a forest devoid of wildlife. No birds chirp overhead, you won’t hear the sound of scurrying animals in the underbrush. Instead, you will experience the unnerving and deafening silence where there should be life. Legend says you may even hear the anguished cry of a yurei, or ghost, in Japan’s haunted forest. Take a few steps farther, and you’ll notice the trees curving towards you. Above you, the trees grow together so you can’t distinguish which tree a branch came from originally. Beneath you, lies the roots of trees that look like they will pick themselves up and block your path. A place where compasses can fail to distinguish north from south. Scientists say it’s from magnetic iron in the soil, but what if it isn’t. What if it’s something slightly more sinister. 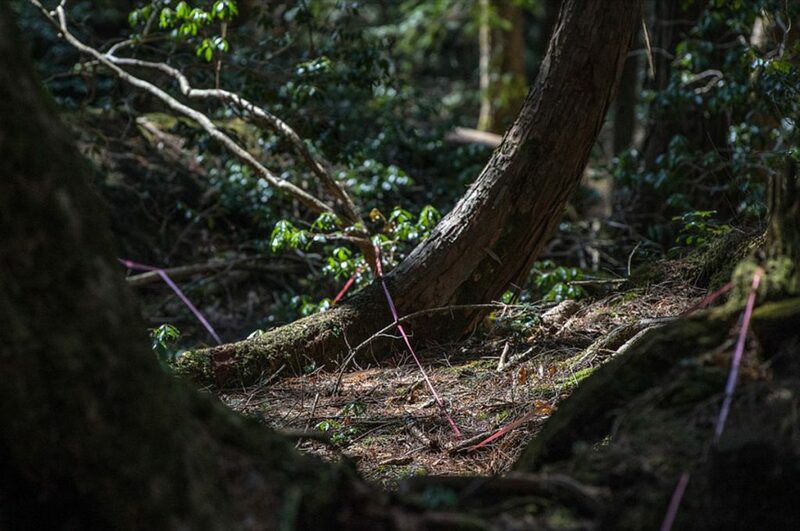 Welcome to one of the most infamous and macabre forests in the world – suicide forest. It’s believed, this forest was the site of ubasute. The legend says that during times of famine families would abandon their elderly in the forest to die of starvation. 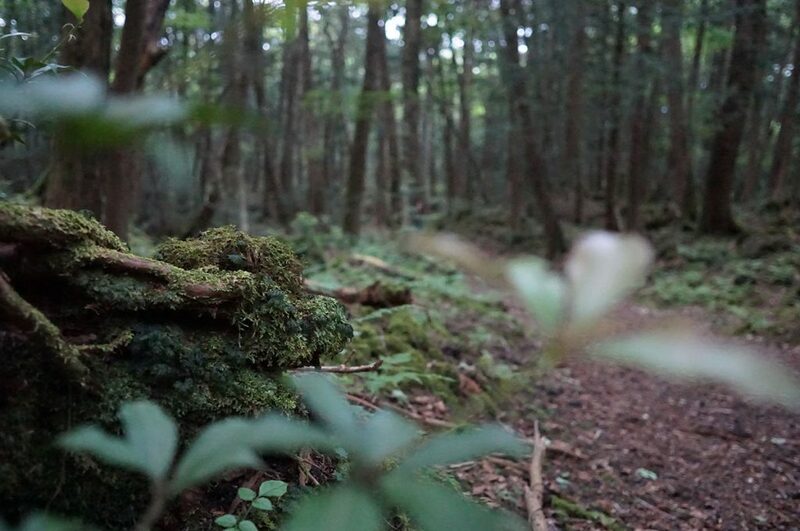 Ubasate has become part of Japanese folklore, but it’s believed that Aokigahara is haunted by the yurei, or ghosts, of those elderly ancestors sacrificed among its trees. The forest is 30 square kilometers. The soil is the result of an 864 Mount Fuji eruption. The forest is extremely dense and the lava earth helps to soften all sounds creating a very solitary atmosphere for hikers. 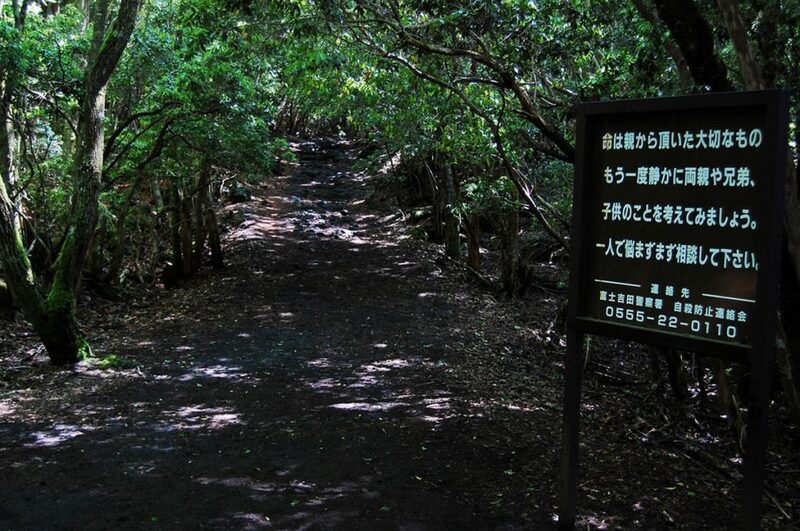 Aokigahara is the world’s second most popular suicide site. While the forest has been associated with death and ghosts, it became popularized as a suicide destination after the publication of “Kuroi Jukai”, translated to “Tower of Waves” or “Black Sea of Trees” a novel by Seichō Matsumoto. There have been 500 documented deaths, but it’s widely believed that many more people have died in these woods, but have never been never found. Since 2003’s reported 105 suicides, in an effort to dissuade people from a pilgrimage to self-inflicted death, Japanese officials refuse to publish exact suicide figures. Forest rangers or volunteers who locate the bodies of the deceased must carry their remains to the nearest police station. Once there, the bodies are put in a separate, special room. Someone stays with the body at all times to ensure the spirit doesn’t wail and moan or walk away. 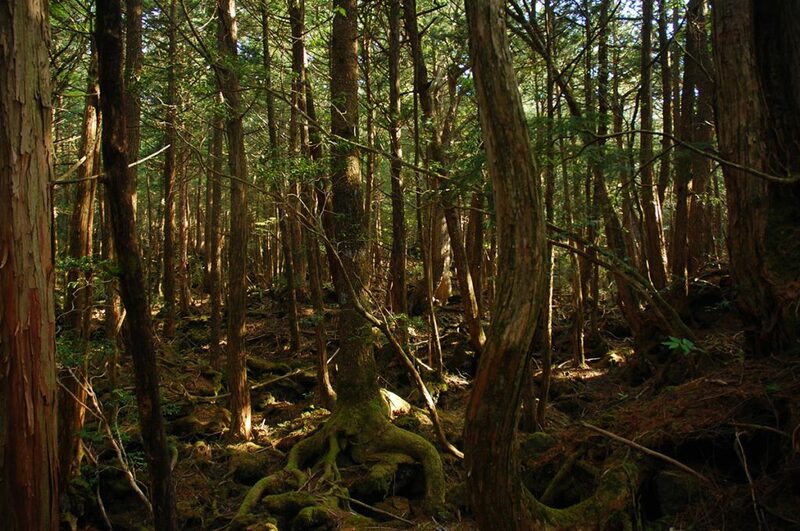 Aokigahara, the Haunted Forest in Japan – Why People commit suicide there? The attitude of suicide in Japan is much different than western ideals. Suicide in Japan is not linked to any religion, instead, it has its roots deeply entrenched in the culture’s consciousness. Japan has one of the highest rates of suicide per capita in the world. This is linked to overworking, lack of adequate mental health care, and it’s bloody history. Historically, the Samurai practice of Seppuku, or honorable suicide after a failure, is seen as heroic and is often romanticized in modern culture. 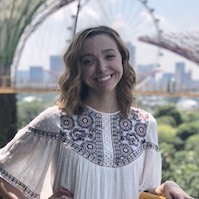 Suicide is seen as a release from life, and in some cases, as a way to save a family financially. Loopholes in Japanese life insurance policies can pay out the family of someone who kills themselves. Suicide survivors from the forest claim that it felt as if they were being pulled in and coerced deeper and deeper into the forest. Some people believe that the souls of those who died have been absorbed by the trees and seek company. 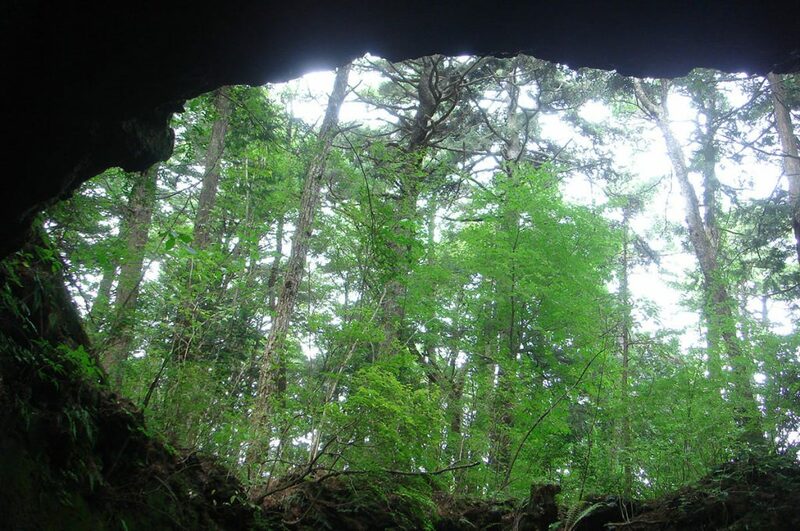 A death pilgrimage to Aokigahara Forest has subsequently become romanticized after song references and numerous movies with the forest as setting and character. Suicide survivors have said that they chose the forest as their final resting place in order to die somewhere alone where they wouldn’t be found, but also some people see the forest as a place to die with the hundreds of others before them. Warning signs are scattered throughout the forest, “Your life is a precious gift from your parents,” and “Please consult the police before you decide to die!,” or “Meditate on your parents, siblings and your children once more. Do not be troubled alone,” by volunteers in an effort to dissuade those who can still be swayed to survive. The darkness and the circular, recurring landscape of the forest distort the brain making it nearly impossible to keep direction. To combat this, some hikers will leave tape creating their own path, like a trail of sprinkled breadcrumbs, so they can find their way out of the forest. The lush vegetation, the rumor of unreliable compasses, little to no phone service, and a sea of trees that all look similar have forced hikers to create their own paths. Some, who enter the forest contemplating suicide, leave a trail of plastic string or tape in their wake. These people tie strings to the twisted trees in case they change their mind and want to take a route out. However, some strings are tied from tree to tree so the body can be found and later returned to their family. If you see a trail of tape or ribbon. It’s best to leave it be. 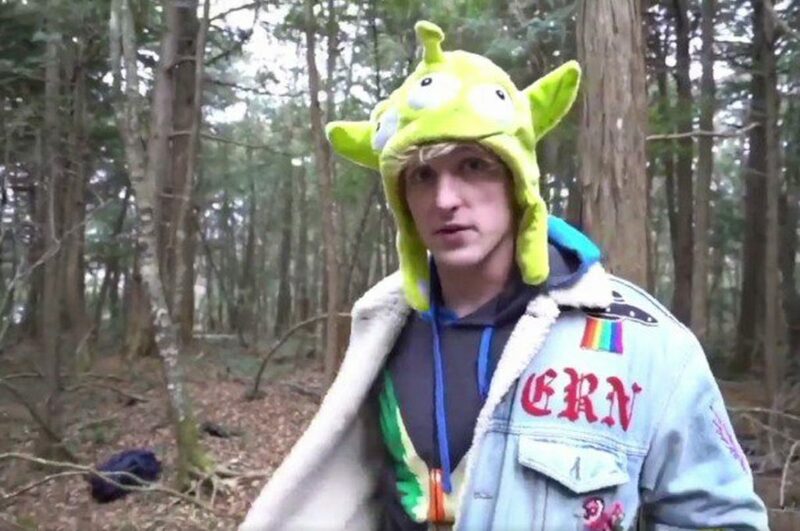 In December of 2017, Logan Paul, a famous Youtuber set off into the forest, he says that finding a suicide victim was not his intention. Paul has a history of testing what is considered the appropriate content on the streaming platform. Paul stumbles upon the remains of a man who has recently taken his own life. In the now deleted vlog, Paul appears shocked, but almost instantly begins to make light of the situation. The video pans over to the body, blurring out the face, but lingers on the hands. The video eventually includes Paul making insensitive jokes, laughing, and mocking people who think about suicide. Almost instantly, Paul’s vlog received widespread backlash for its insensitive content. Paul has since apologized for his actions. 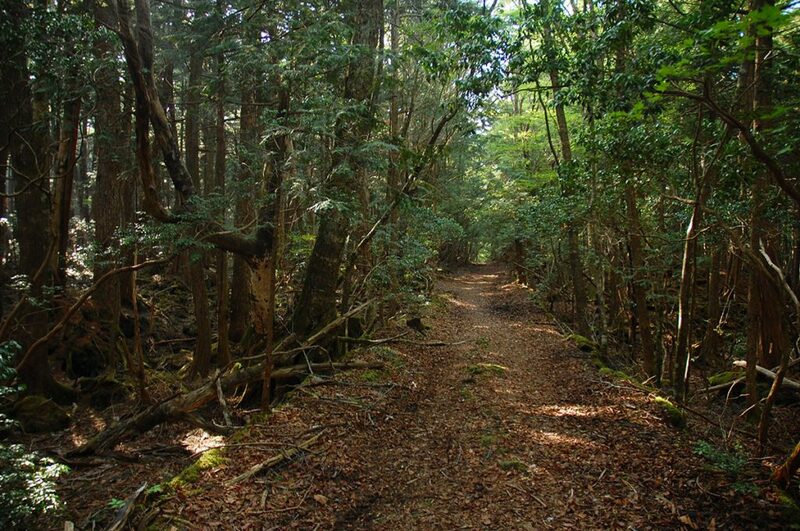 Aokigahara Forest might not be haunted by yurei or spirits. It might just be a dark place with a darker history. If you go, stay on the path. Maybe leave an uplifting note on one of the trees. If you have feelings or thoughts about suicide, please contact the suicide hotline: TELL Lifeline and Japan Suicide Hotlines. You can discover more about Japan by checking our Japanese Culture articles. 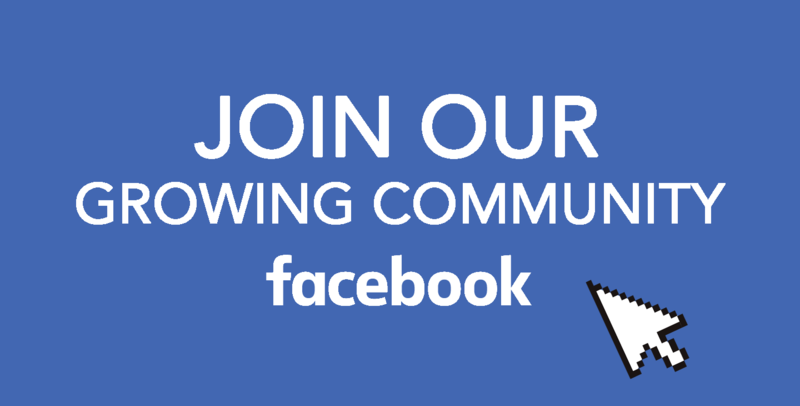 Join our Facebook group and be a part of a growing community of Japan enthusiasts. Also, don’t forget to check out our Facebook, Instagram, and Pinterest accounts.